Parks are like life blood now that my little guy wants to run and jump on everything in the house! 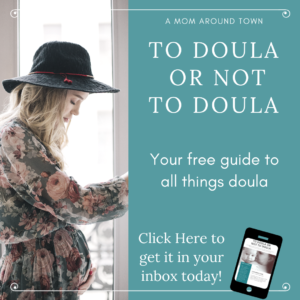 When we’re feeling a bit cooped-up, when we need to burn some energy or see some sunlight, we hop in the stroller and get to our nearest green space as quick as possible. 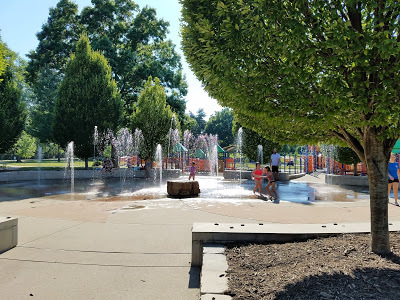 I love the parks near our house but more and more I’m expanding our reach and looking for new places to play…and there are some AWESOME parks throughout St.Louis. I had a hard time cutting down the list, but I tried to find parks that were maybe less known and had tons to offer. 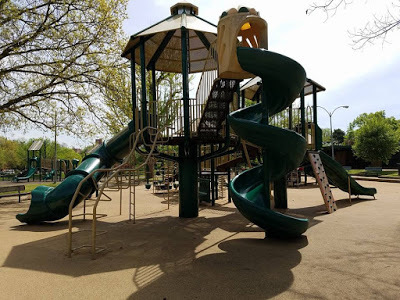 So without further ado, here are the 6 of my favorite St.Louis parks that you have to try out before it gets too cold! 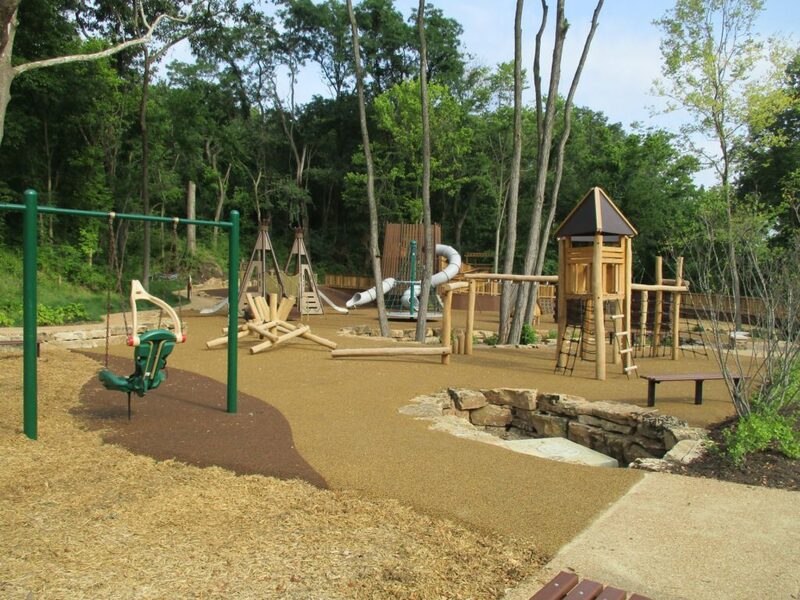 Wildwood Community Park has a really unique and natural feeling play space. They have things like a roller slide, rope merry-go-round and log obstacle course that you just won’t find very often. The log cabin feeling tower and tee pees add to the natural feel. There is also a little path to a creek if you are adventurous and other trails and picnicking spots. 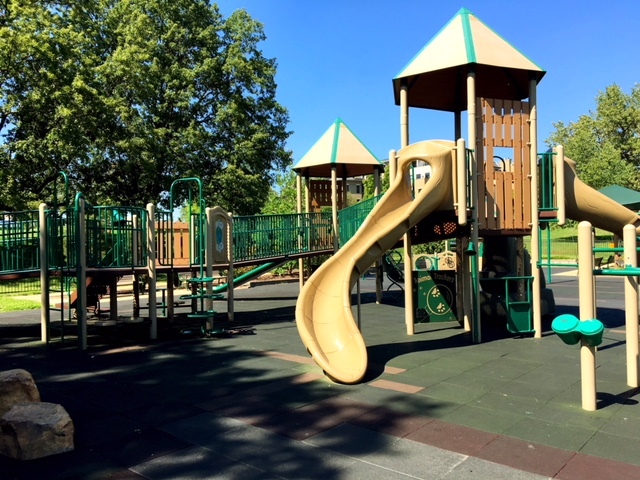 The Heights Park is right next to the the community center and library in Richmond Heights, so you can tack on some time playing at either to your day. 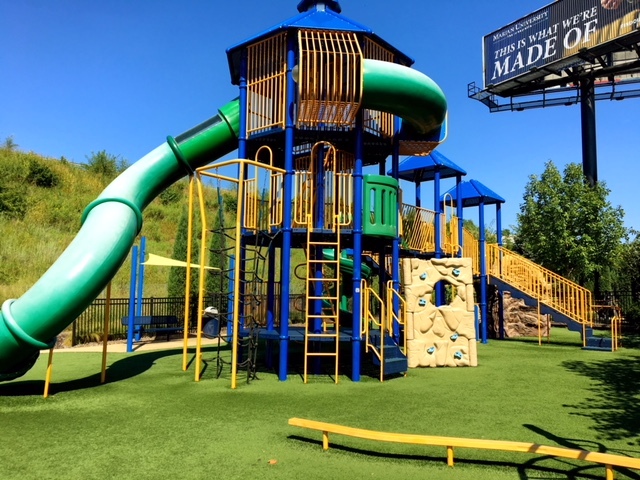 They have a 3-story slide and tons of fun things to climb around on. 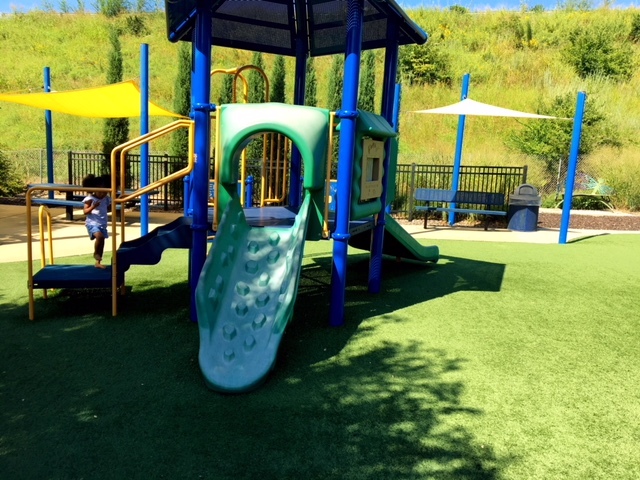 There is also a smaller play area that the younger kids can run around on by without much assistance, that is a big help for me! 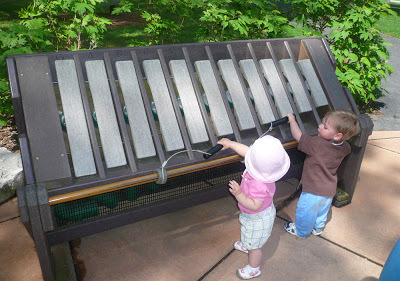 There’s also an “outdoor classroom” with nature stops and musical instruments to play. AND, there are shaded picnic tables, bonus! 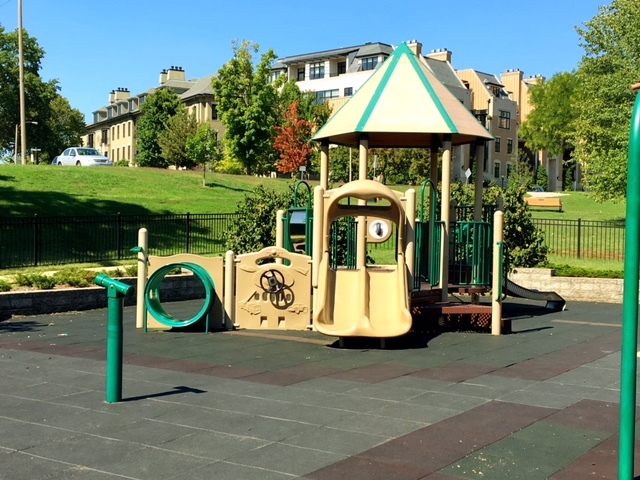 Shaw Park is in Clayton and has lots going on, seriously! 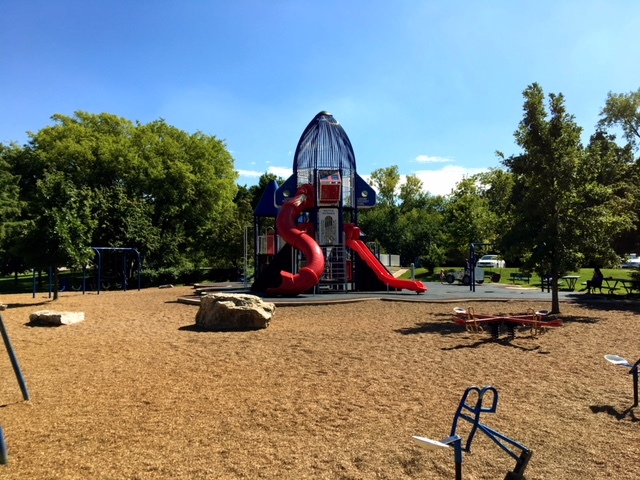 There are two different play ground areas, one is fully fenced in and has a splash park. 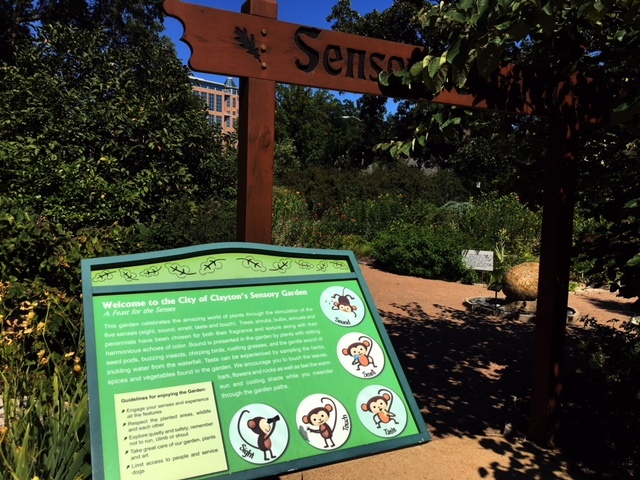 There is also a sensory garden and a “work out” park. If that doesn’t cover it for you, the park is filled with trails which can lead to the tennis courts, sand volleyball, baseball fields or pond. 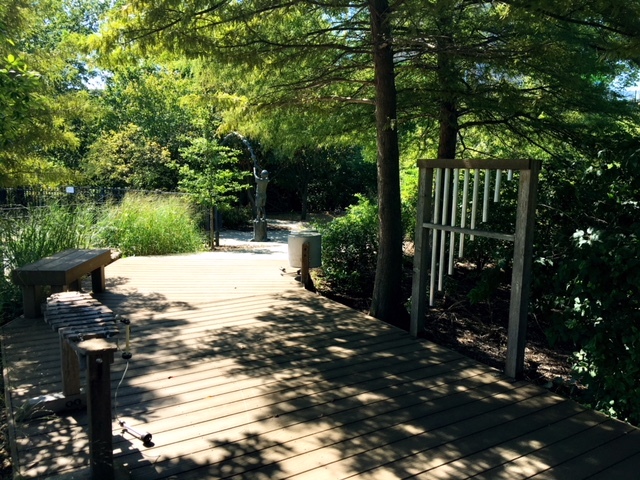 This is a perfect park to pack a lunch for and stay a few hours. I will never know if it is Tils or Tillys park, but call it whatever you want and just go play! This is another park that has all the things. There’s a big walking trail around the whole park that will lead you to multiple pavillions, sports fields and a pond that is filled with ducks that will come right up to you! 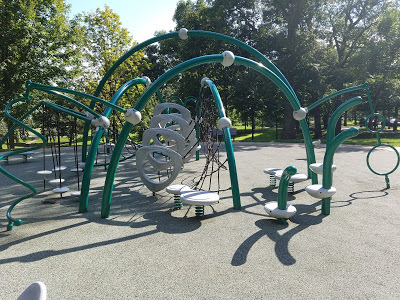 There is a spider web play space to climg around on and then a main playground area that has multiople sections. With a new splash park areas, music zone, swing zone and then tons of equipment. One word…Rocket Ship! This themed playground is so cool! 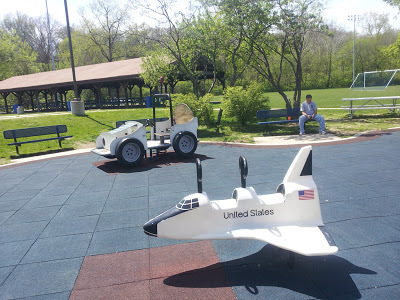 It has all kinds of rocket and space themed elements, plus swings and teeter totters. There are some digging elements in sand, so be warned! 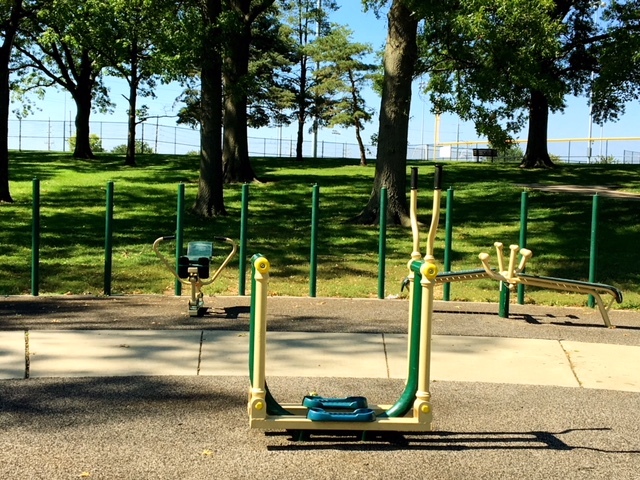 The park also has sand volleyball, soccer nets and a baseball diamond…plus a snack area, score! 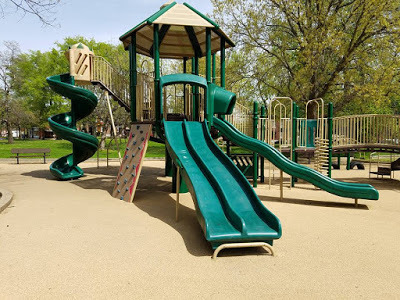 Talk about slides, this park has curly ones, long ones and bumpy ones. 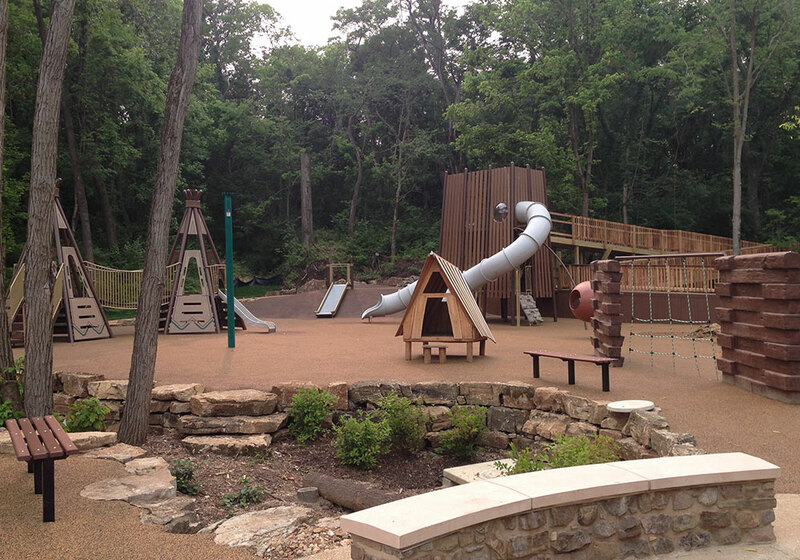 The playground area has lots to keep you busy, will many climbing elements and swing options. But the park overall is very nice with a bridge and creek and green space to roam around in. 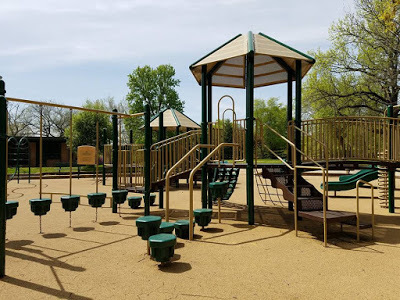 Here are a few of my favorite St.Louis parks, but I also wanted to share one of the best resources that I’ve come across for parks. 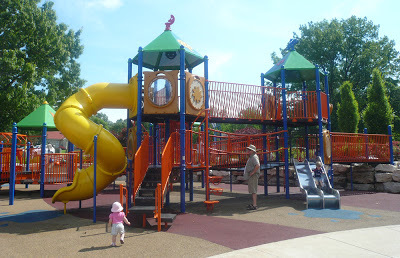 Play St. Louis is a blog that catalogs EVERY park in St. Louis, seriously they have a huge library and gives great descriptions of each one. But the best part is that you can load the google map on your phone and can pull it up to find a park near you when you are out and about! know about this topic. I like all the points you’ve made.